The Hans Christian is one of the consummate blue water cruisers. 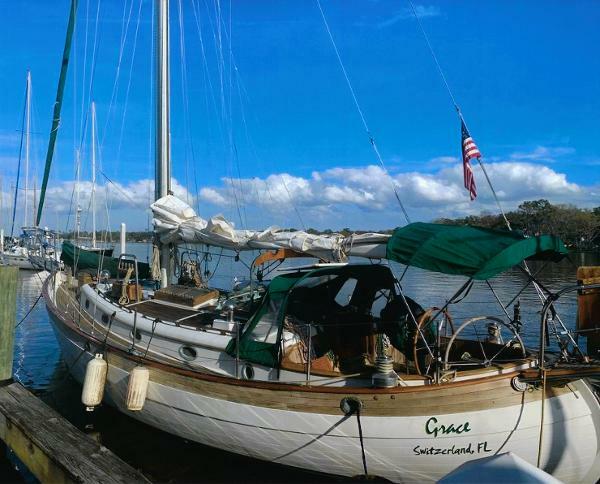 This Hans Christian is a 1985 43' traditional cutter rig. GRACE is a proven, ocean-going vessel and is ready to go anywhere in style and grace. 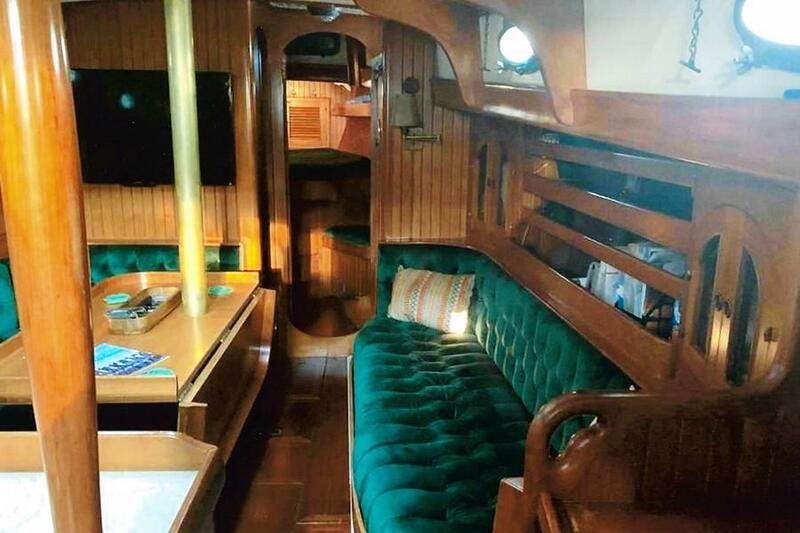 Always among, if not the prettiest boat in the harbor, her ride in heavy seas is more comfortable than almost any boat afloat. 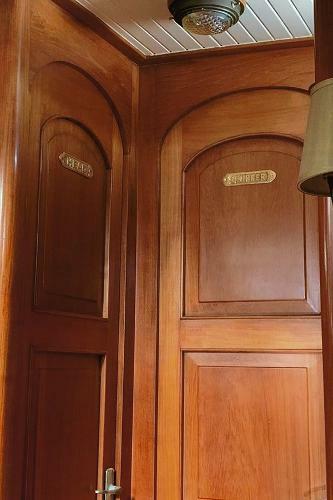 The teak work and joinery are second to none. 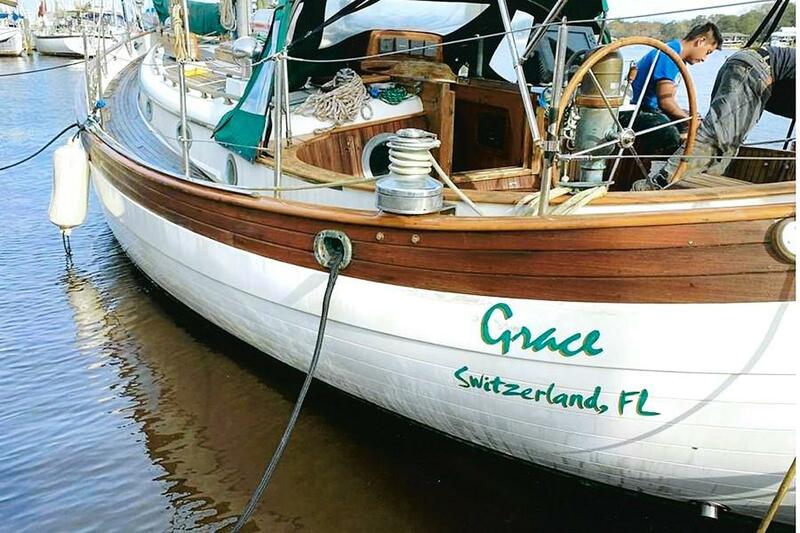 GRACE is drop dead gorgeous--inside and out. A must see! Strong® Sail Track System installed 2011 with New Mainsail. Yankee (140 cruising genoa made of CXP7 material) 588 sq. ft.
Spinnaker pole on mast with reaching strut. Large offset double berth in the owner's stateroom forward, which also includes an upholstered seat, chest of drawers, and hanging locker. There is shelf space, two opening ports, an opening hatch, and a 110V outlet. 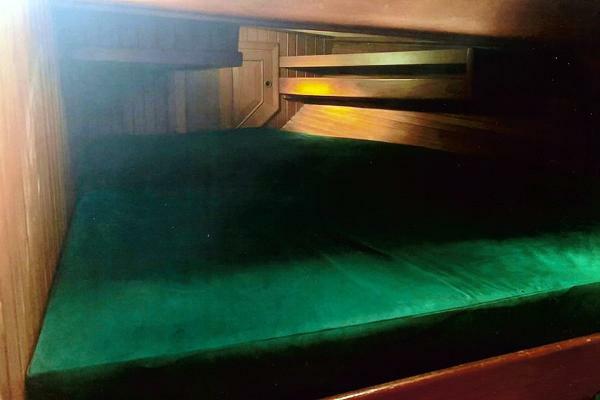 Storage under berth. 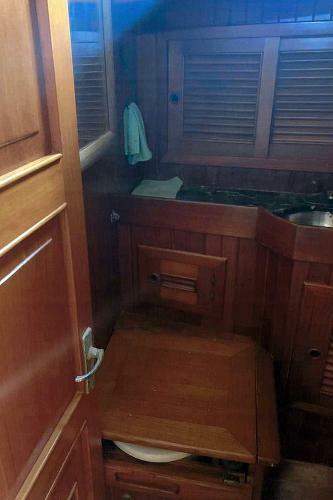 Head (New 2010) with a separate shower stall (New fixtures 2010) is located just alt of forward stateroom to port (marble countertop) with another hanging locker to starboard across from the head. The main saloon is very roomy with comfortable settees, port and starboard, that will seat 10 around a large dining table with fold-down leaf. 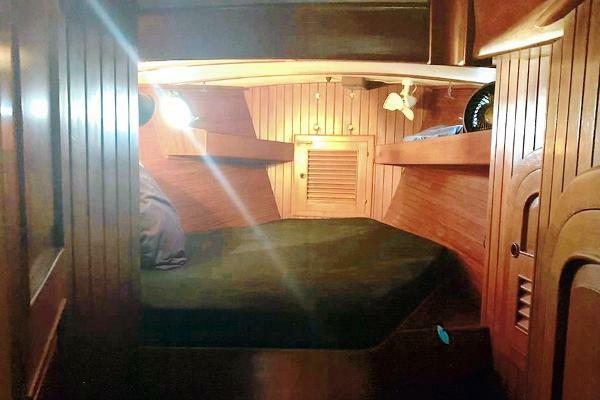 The dining table can be raised allowing a double berth to be pulled out on the starboard settee and still allow passage through the salon. 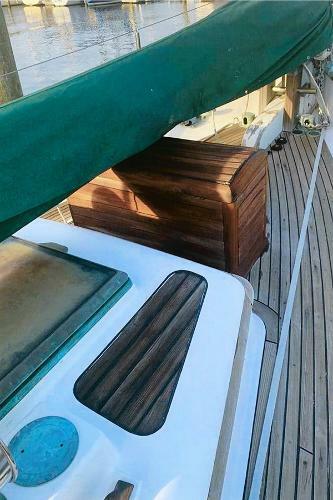 Large 'butterfly' hatch that opens on port and starboard and provides tremendous light and ventilation below. Butterfly hatch has screen doors. 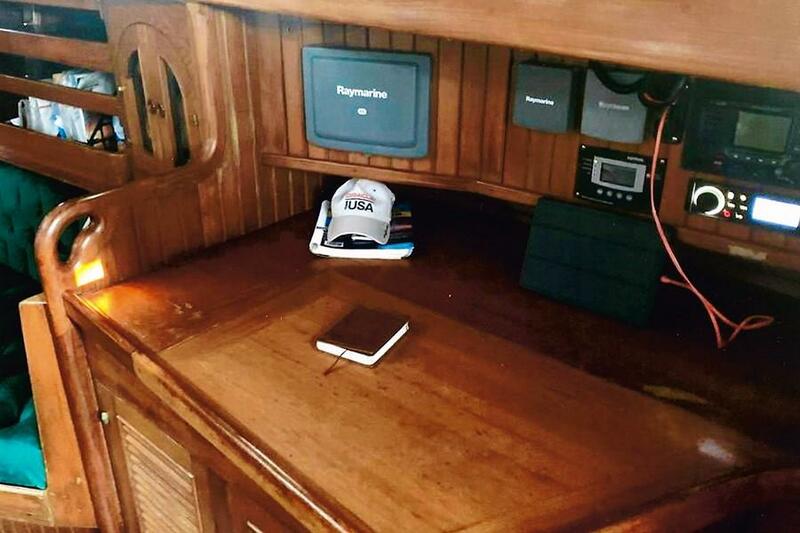 The navigation station is opposite the galley to starboard and features a navigation desk that is 5 feet long with significant storage under the desktop and in lockers below the desk. In addition to the AC/DC panel, there is a Raymarine EBO, Linked to a Raymarine E120 at the Upper Helm. 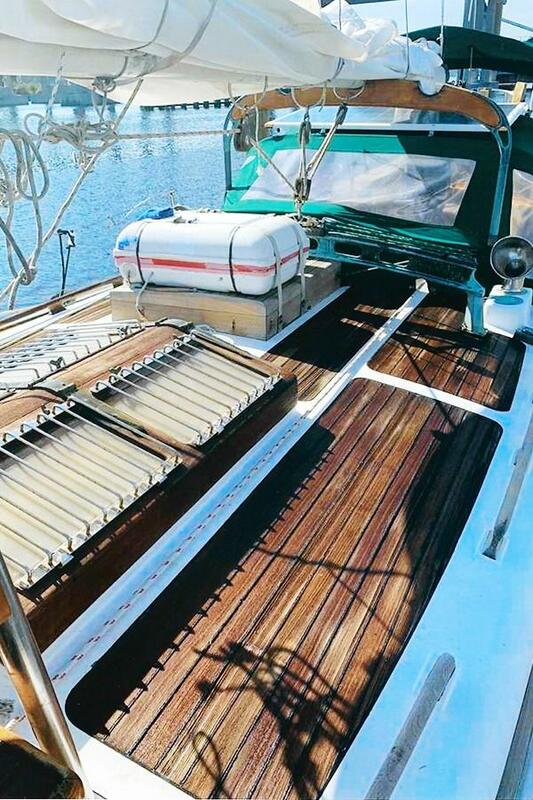 All instruments are Raymarine ST-60 and St-60 Plus. 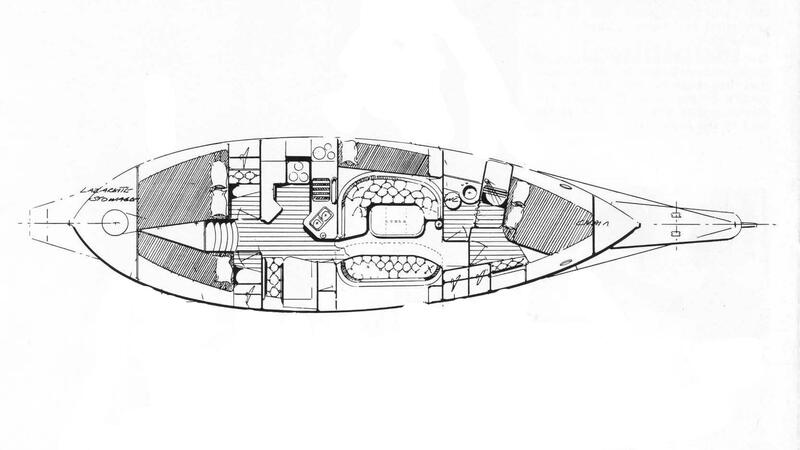 There are two Raymarine instruments at the lower station, AutoPilot repeater control as well as Raymarine Multi Display. There is an ICOM M506 VHF radio w/DCS (New 2016) that is linked to the GPS for DSC calling, lat/Ion readout on screen, etc. 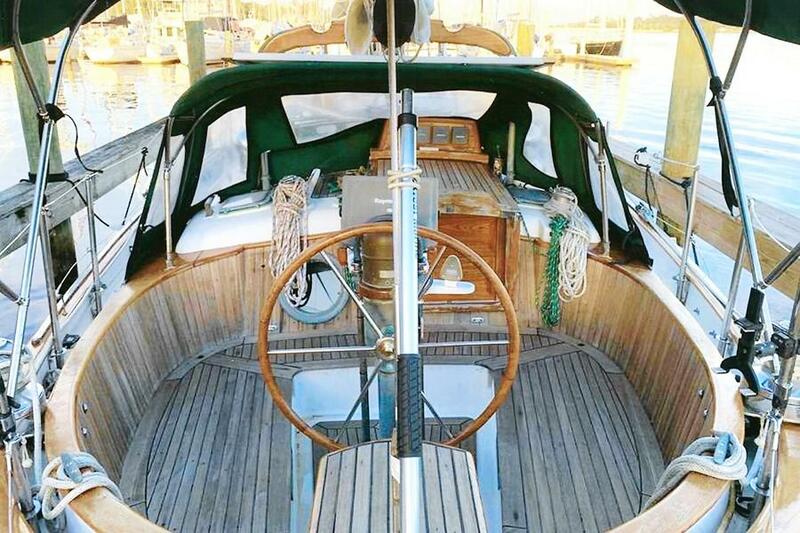 There is a 1 l0V outline and a cigarette charger port as well as a ships clock and barometer. The engine is located beneath the galley and port settee-excellent access. 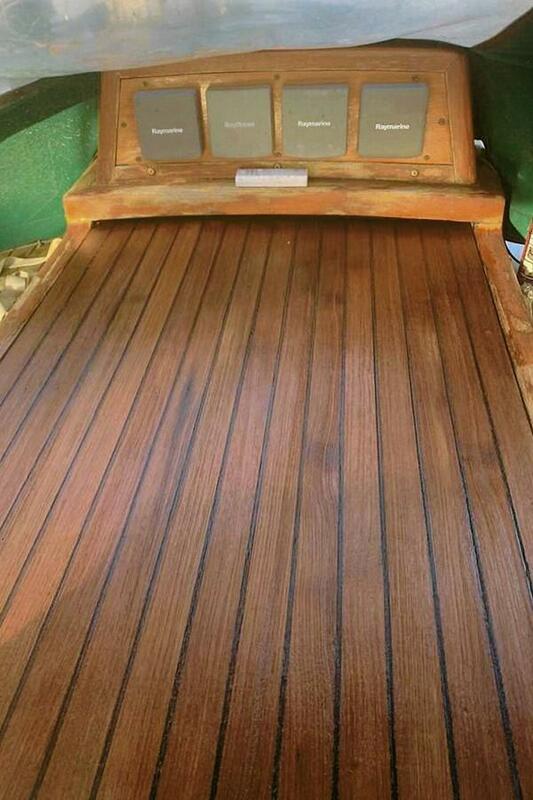 The wood joinerwork below decks is magnificent. I am Interested in more information about the 43 ft Hans Christian 43T 1985 I found on your website. 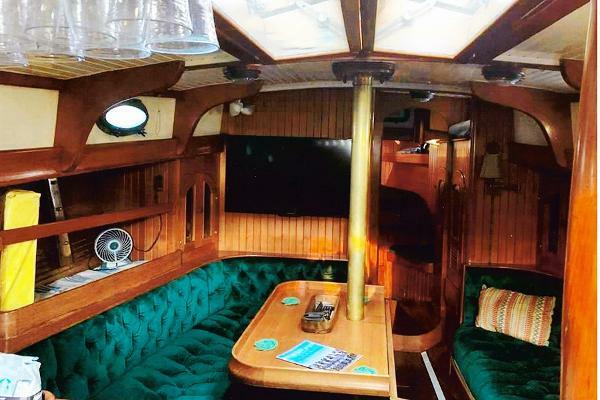 I am Interested scheduling a showing of the 43 ft Hans Christian 43T 1985 I found on your website.